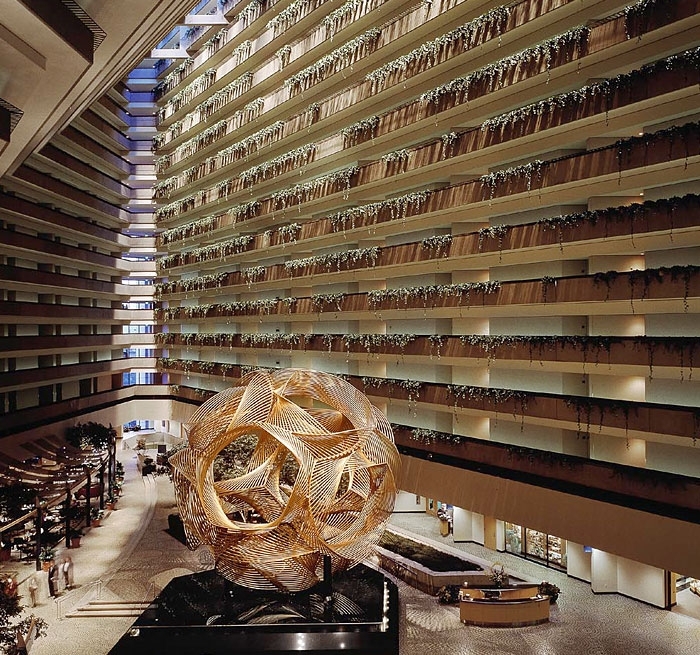 The renovation of the landmark Hyatt Regency Hotel Atrium in San Francisco occurred during a brief 4-month period in the spring and summer of 1993. 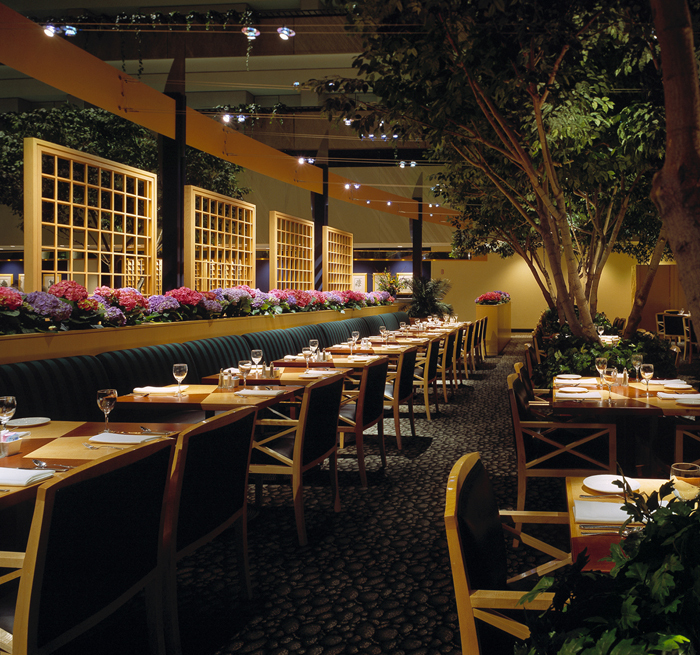 Auerbach Glasow provided architectural lighting design for the renovation. 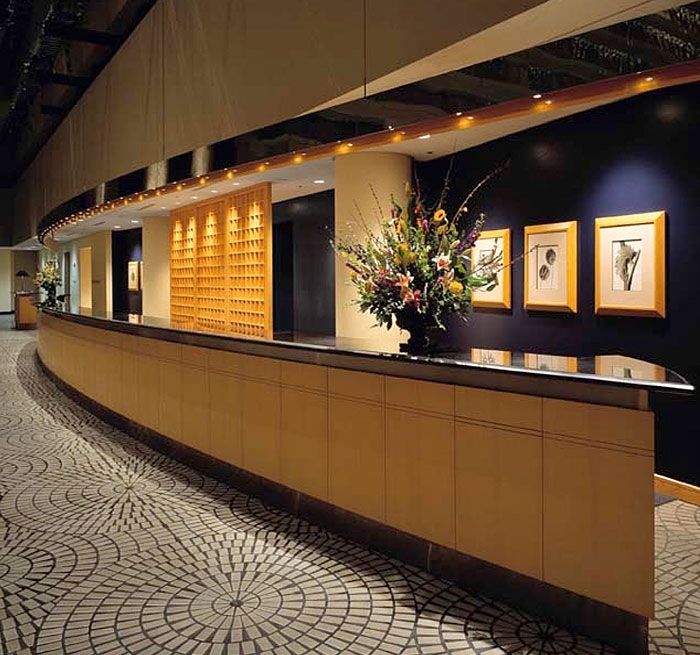 For the first time, vertical surfaces, stepped ceilings and pedestrian paths were illuminated to reveal the unique architecture of this 1971 Portman hotel. The central sculpture and fountain, trees and task areas were relit. A grazing technique, which loosely simulates the effect of sunlight, rakes the walls. A low voltage open conductor wire system illuminates the cafe and bar as well as dramatically uplights the horizontally stepped ceiling that rises seventeen floors, 170’, above the atrium floor.